The rapid development of computer games in recent years gave a powerful impetus to the development of computer manipulators. 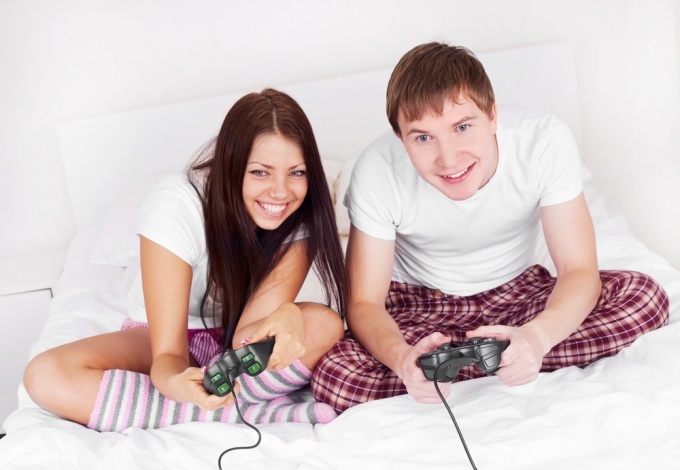 Many of the manufacturers produces a wide range of gaming devices for various purposes. This traditional joysticks, button controllers, as well as wheels and aircraft wheel with lots of buttons to control all sorts of modes, levers, yoke, pedals and other controls. All this wealth of game requires a connection to work correctly in a Windows environment. To mount the wheel correctly, you need to carefully study the supplied manual, especially the part it is connected to the computer. Most manufacturers of gaming devices provides them a CD with the required distribution. It must be installed in the CD-ROM drive of the computer, and follow the prompts for installation. But Windows itself is able by using a special utility to connect your gaming device. To use this method, you must use the supplied connection cables to connect the steering wheel to the appropriate port on your computer. Then, with the mouse to execute the following commands: "start" - "control Panel" - "Printers and other hardware - Game controllers. On the screen appears dialog box "Gaming devices". The field "Installed game controller" default is blank. Click "Add". In the new window "Add game controller" will be presented a large list of well-known manufacturers and their gaming devices. When you connect a racing wheel for driving simulators, often included are the pedals. In this situation, you need to choose the manufacturer and additionally activate the option "Connect the wheel and pedals. If the list is not installable model, you will connect the wheel yourself. At the bottom there is a button "Other". Click it and a window opens in which you specify features of the gaming equipment: joystick, game pad, steering wheel or control racing car. You will also need to specify the number of buttons on the steering wheel and the "Degree of freedom" is the number of directions in which you can move the steering wheel or the joystick. For modern automotive simulation and arcade racing to be a useful custom on the steering wheel switching function form of the player - "cockpit view", "view from the top and rear", "top view" and "General view". For this you need to set the checkbox next to the hat switch. For the connection procedure is finished the helm, to enter into the field "Controller" in its name so it appears in the list of connected equipment. After that, activate the OK button and in the dialog box "Gaming device" also click OK. Windows will automatically complete the installation of the gaming device. To connect the wheel to the game, you don't have to have any specific knowledge – the connection is almost instant, you only need to customize the controls in the game any way you like. the game, supporting the connection of such devices. Connecting the helm to the computer. To connect the wheel to the PC, just attach the USB cord to one of the available ports on your computer. After you do this connect to the steering wheel pedal and push the power supply into the socket. Now the wheel is connected to the computer. Game setup for steering. Log in to the game, which supports the steering, and go to the settings menu. Here you should select "control Settings". In addition to the menu the keyboard Configuration and Settings of the mouse, you will see a section called "Alternative control" is it you and required. Entering in this menu, set the desired preferences for certain buttons as you are comfortable. Retaining all settings, start a new game. Possible problems. If after you entered the game the steering is inactive, the reason for this can be two reasons: the computer does not recognise the device or you have not installed the appropriate driver (some models rudders provide prior driver installation on a PC). However, all this can be detected under control settings – if the time control settings when attempting to change keys on the steering buttons don't respond, it means that it is inactive. In this case, you need to install on your PC the driver that comes with the device. After installation, repeat the second step. 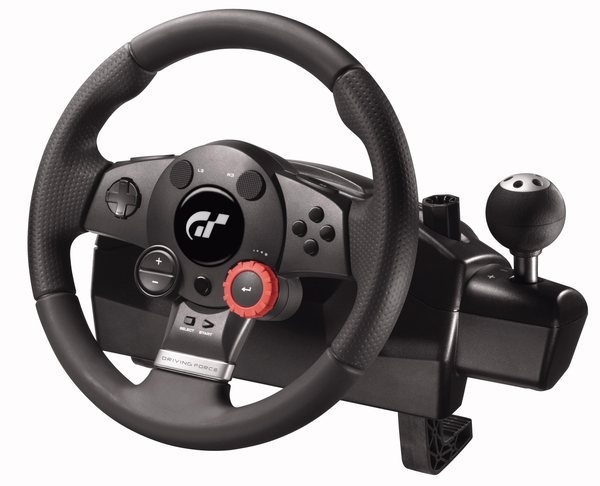 Almost any racing game it is possible to connect special equipment - gaming steering wheel and pedals. With such equipment the player can immerse themselves in the game and feel like a real racer. Test Drive Unlimited (2007) is a racing game from Eden Games. The game has over 100 real prototypes of sports cars and motorcycles. The game world is a Hawaiian island of Ohau, the length of roads which is more than 1000 km In the beginning of the game the user has a house and one car, which can be controlled using a special racing wheel. The player needs to explore new places and participate in various competitions, for the victory which the player receives in-game money. In addition, the game has a customization hero: for the stamps earned for "hitchhiking", the player can buy new clothes. FlatOut 2 is a game developed in the genre of "racing" company Bugbear Entertainment. In this frantic racing game, users must not only finish first, but to try to survive on the road. Every enemy will try to destroy the player's car, pushing him off the road. In addition to the usual career, a player can try their hand in the "tricks" which you need to run the driver in the length, height, to play them in soccer, bowling and many other games. The game was built management using game booster, so each user can completely immersed in the world of racing. Collin McRay Rally series racing game. This series includes such computer games, as Colin McRae, Colin McRae 3, Colin McRae: Dirt 1,2; DiRT 3 and others. The series has received numerous awards and was recognized as the most successful in its genre. Each game has realistic driving physics, dynamic racing and real prototypes racing cars and tracks. If to connect a gaming steering wheel and pedals, the player can feel like a real racing driver, after all, the whole series Collin McRay Rally is one of the most realistic rally simulation. Live For Speed is a car racing simulator. One of the main features of this game – high realism. The physical machines at the height of the details modeled every detail of the car, the car gets damaged, if a key component fails to operate the machine much harder. If the tires are well warmed up – they can burst. The user can easily connect a gaming steering wheel and feel like on the race track. In addition, the game has a network mode in which multiple players compete on the race track. Riders can be fined and disqualified for breaking the rules.